More often than not, “bigger is better” is casually tossed around in almost any car-related conversation. However, what if we told you that wasn’t the case? What if we told you, “smaller is cooler?” Case in point, the miniature engine building sub-culture, which is steadily gaining a trendy following among gearheads. In this hobby, a steady hand and sharp eyes prevail. Not only are these replicas of famous engines, but they’re exact replicas down to the oil passages in the engine block. What’s more, those passages aren’t just for show. They actually function just as they do in their big, life-size brothers. Each and every part of the engine is delicately hand-made. 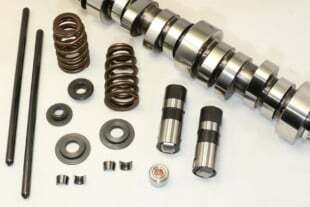 From the engine block down to the camshaft and even the valve springs; the engine parts are quite literally one of a kind. So how long does it take to make one of these? Try an average of five to seven years! This hobby is definitely time consuming to say the least. Another cool fact about these motors is that they’re water-cooled just like the real thing; all the way down to the handmade water pump. So now I’m sure you want some numbers when it comes to horsepower – they don’t disappoint. The 350ci small-block replica in the video above creates a whopping 6 horses! That’s right, 6 horsepower. So it might not be as efficient as its regular counterpart, but how amazing is it to have a completely running and functioning Chevy 350ci small-block on your shelf in the garage? I’m sure even the Jones’ are red with envy of this guy. Just remember the next time someone says that bigger is better, that sometimes, it’s actually smaller that’s cooler.